I finaly found the problem and these are the steps I went through to find the solution. These same steps can be applied to any third generation Ford Taurus 1996-1998. 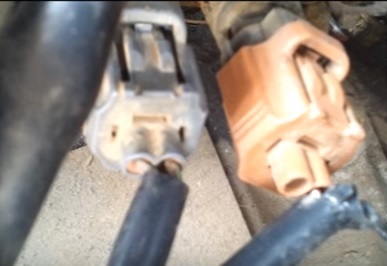 One relay and one fuse needs to be checked. The main fuse for the fan is in the fuse box under the hood next to the battery. For me the fuse was good. 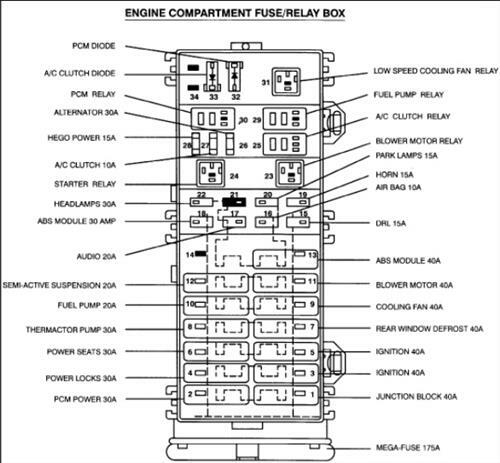 Next the relays need to be checked. 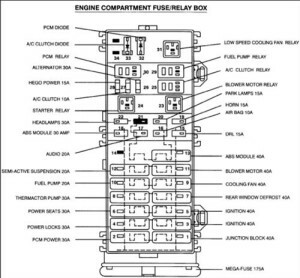 The relays are in the same box as the fuse and three will be visible. All three are the same and are interchangeable, check the numbers to be sure on your model. One is for the horn and since for me they were interchangeable I switched them and hit the horn to be sure the fan relay was good. There is a sensor that reads the heat from the engine and when it reaches a set level turns on the fans. 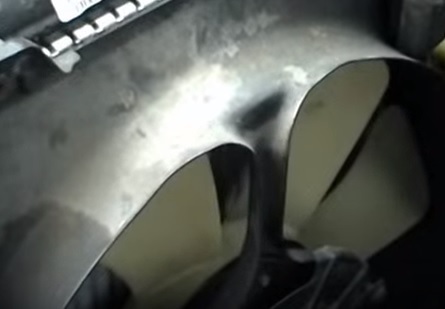 It is located on the driver side of the engine. Two sensors sit next to each other. 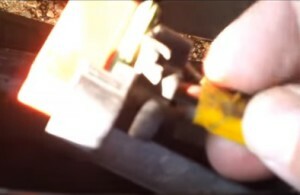 Here the one on the left is the Coolant Temperature Sensor and the one on the right is for the temperature gauge in the car. 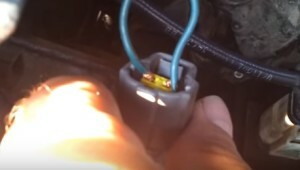 The two wires going to the sensor complete a connection when the car gets warm which then tells the computer to turn the fans on. A way to test this is to jumper the two wires and see if the fans kick on. If they do the sensor is bad. This was the problem for me and after I replaced the sensor everything went back to working normal. If this is your problem I dont suggest leaving the two wires jumper as it may damage the computer. Here is the Coolant Temperature Sensor on Amazon. If all the other methods do not work than the fans themselves may be bad and need testing and replaced. One thing I did do before I solved the problem was to run two wires from the battery and touch the leads on the fans to see if they would spin. Basically I wanted to test the fan motors to see if they were good. Even though I did this it is not the best method and I didn’t have a wiring schematic of the fan wires which there are three. It may be better to simply replace the fans. The above was the steps that I went through to troubleshoot the fans not turning on for the Taurus. For me the problem was the coolant sensor but it could have easily of been a fuse, electrical, or the fans themselves. Hopefully this post helps you if you have the same problem. If you have had the same problem let us know in the comment below. Help with a problem is always appreciated. Video I made of the problem. can you replace the tube that those sensors mount in? Question. 98 taurus had a bad ac compressor pulley/clutch. Since i don’t have the money to replace it at the moment i decided on removing and just bypassing the compressor and running the shorter belt. After doing this neither fan works. They worked fine before this. 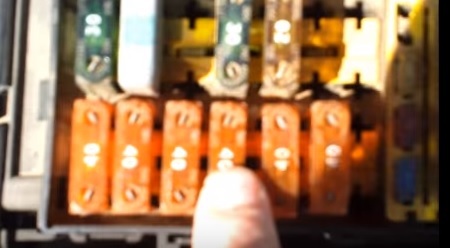 I checked fuses and relays and from what i can tell they are good. Replaced the engine coolant temp sensor. The fans are still not kicking on. They were working fine before removing the ac compressor. Should they still work after removing the ac compressor or is there a function on that that helps control the fans?